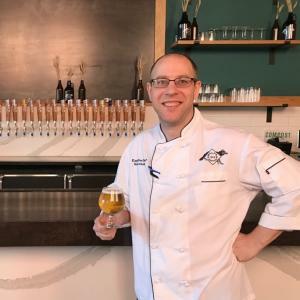 Seth Lassak has been the executive chef at Wolf’s Ridge Brewing since its opening in September 2013. 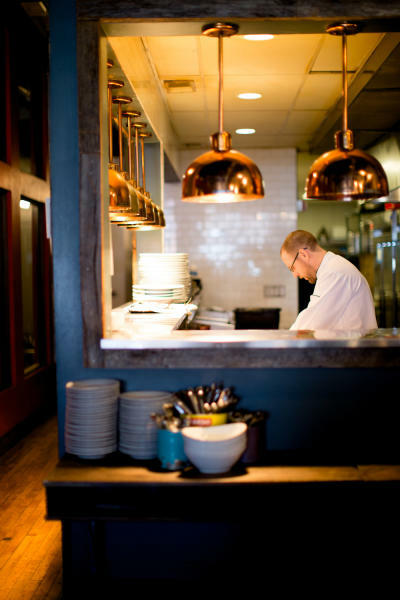 During his tenure, Wolf’s Ridge has been named best new restaurant and a top restaurant in Columbus multiple times, and Lassak has been named best chef in Columbus. 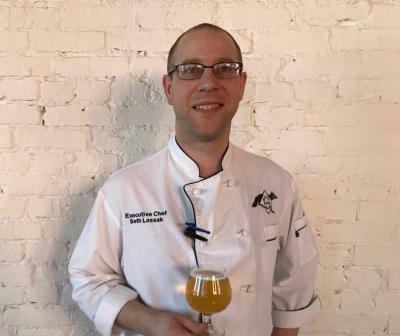 We caught up with Lassak to chat about his background, how he and his team develop menus, and how they work with the brewery. Nick: What was your journey leading you to being executive chef at Wolf’s Ridge? Seth: It chose me, more or less. It picked me. It was a good choice, even though it&apos;s a stressful job, it can be rewarding, and the camaraderie is great – it’s a lot of fun. When I was 13, I went looking for a job at the Muirfield Village Country Club. I somehow got in contact with chef John Souza. I was too young to do the hours they needed, so he said, “Come back next year when you’re 14.” I went to McDonald’s, worked there for a year, then went back to Chef Souza and said, “I’m back. I want the job.” He couldn’t believe I came back. He hired me. I started washing dishes. Chef Curtis Duffy was there – he’s now in Chicago – I was watching him and how he was taking notes, he presented himself well. When I didn’t have anything to do, I was watching the service, and it kinda clicked. I asked, “What else can I do?” and started peeling potatoes, peeling carrots, then they put a knife in my hand. Someone gave me a knife – it meant so much for me. I started using my money to buy knives and kitchen equipment. I started on the cold side, then moved over to hot side on the fryers, the ovens. I showed interest in the hot line around junior year and wondered, &apos;where should I go?&apos; That’s when the Culinary Institute of America popped up. After school, I moved to Sacramento, got married. We lived in Sacramento for four years, had Chloe, our first daughter. After another year we wanted to be around family. Columbus is a great place to raise a kid, so we landed in Dublin. I cooked a dinner for family friends. Bob Szuter (one of the Wolf’s Ridge owners) saw it and said, “My dad and I have idea for a brewery. How do you feel about being executive chef?” I was ready for a chef job. I think it was a good fit. I was homebrewing 10 gallons of beer every week. When we walked through the space, I could envision the place. I helped with the demo, and was their first employee. I found a good crew, found my sous chefs, and we opened September 27, 2013. Nick: How do you describe the cuisine of WRB to newcomers? Seth: It’s worldly, but you can see ideas from the sous chefs and their style. It’s changed through the years. When we first opened, it had a lot of Californian twists. But when we’ve done Japanese dishes, we’ve used ingredients from Japan. We’ve done Spanish paellas, French bouillabaisse. Kris Ludwig (WRB sous chef) is more of the cowboy, he does the tomahawk chops, ribeyes. Andy Zamagias (WRB sous chef) is Italian/Greek, so you see his influence, too. Nick: What&apos;s your process for developing new or seasonal items for the restaurant menu? Seth: At first it was just me making menus, but I’ve begun giving it away to sous chefs and line cooks, to give them ownership. We change the menu every three months. In Ohio with the surrounding agriculture, it’s great to work with the farmers. Everybody will pitch ideas. We’ll sit down together and we’ll mix and match to make the end dish. Then we share the drafted menu with the GM and Bob, who will give some input. We’ll further refine it and envision how we’ll execute – we’re limited on space, so we have to keep execution in mind. Bottom line: if I think it’s a great dish and I’m comfortable with it, it’ll go on the menu. Nick: What are the must-try dishes on your menu? Seth: We try to have some experimental stuff, but keep some of it simpler. The foie gras – if you appreciate that, it’s a really cool dish. The bratwurst is a fun dish with five condiments. It’s a brat we make in-house with Beeler’s pork. The duck is constantly on the menu. If you like chicken, try the duck. If you like steak but don’t want ribeye, try the duck – it’s a good, red poultry. Our venison tartare looks good and it tastes great. For brunch, the pig cheek hash is killer, and our benedict – we sold 50 last Sunday. On the taproom menu, we always like the RL Valley burger. Nick: Do you consult with Chris Davison and the brewing team to incorporate beers when developing the menu? Seth: We incorporate the beer as much as we can. Cooking with beer is challenging. It keeps it interesting. Beer is a little more tricky, depending on the beer and how it reacts to the heat. We use it in our steamed mussels. We use Dire Wolf on sweet applications for the flavors of the chocolate, coffee and caramel. We also look at the ingredients. The hollandaise is gluten free – we dry hop wine to make it. We’ve been shipping spent grain to Lucky Cat Bakery to make our sourdough. It’s tangy and sour, with just enough spent grain so that it gets a nice, crispy crust. We’re even dry hopping pickles right now. Nick: What&apos;s your favorite dish at WRB to eat personally? Seth: Always the tartares. It’s easy to prepare and the guys don’t get annoyed when I ask for it. Steaks. I eat the burgers and chicken sandwiches. Nick: What&apos;s your favorite beer(s) from the brewery? Seth: I drink the kolsch a lot, especially when it’s fresh. The new Pack IPA is tasty. And our smoked sour Lichtenhainer-style collaboration, Litany of Fear, with Little Fish Brewing. 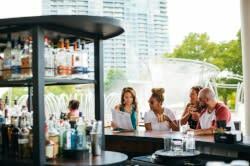 Nick: What are your favorite spots to eat, drink and play around Columbus? Seth: I will shout out Seventh Son – their beer is phenomenal – I keep Proliferous and Goo Goo Muck on hand. With the kids we do Franklin Park Conservatory. We go to the Columbus Museum of Art every now and again. We go to COSI. Experience Seth’s cuisine by visiting Wolf’s Ridge Brewing at 215 N. Fourth St. downtown. Read more about the restaurant, brewery, taproom, and event space here.